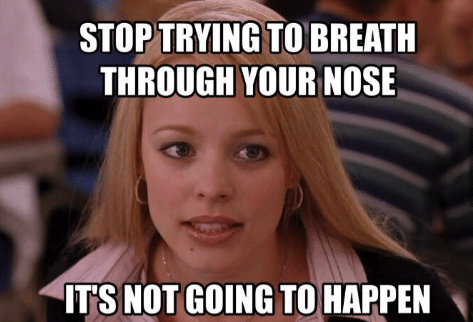 Some of you pre-planners may have already started buying cold medicine in preparation for those runny noses and sore throats. The rest of us out there with bare medicine cabinets may get caught off guard by those first few sniffles. Have no fear – Your Friendly Public Health Pharmacist is here with some tried-and-true home remedies that can help ease your cold symptoms. I’ll also let you know which remedies are a little iffy and which ones definitely won’t help your cold. 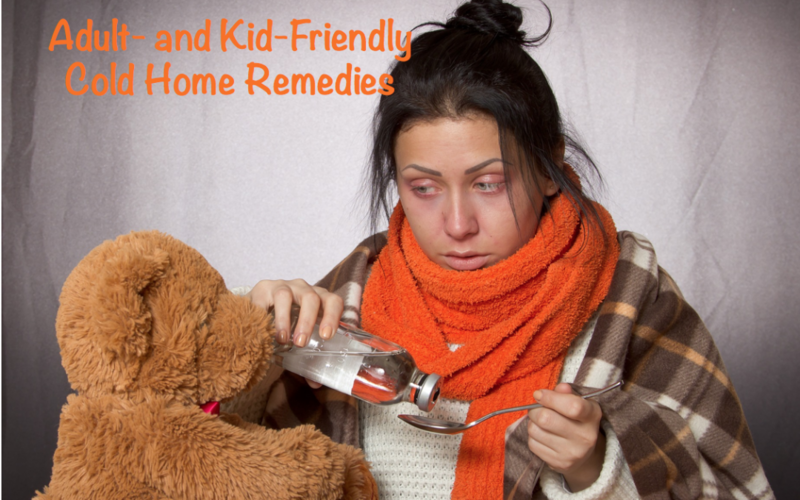 Most of these home remedies are also kid-friendly, but not all. I’ll point those out as well. Hydrate. Drink up! The warmer the better. Staying hydrated is important, and warm liquids will help loosen the mucus and congestion you may feel. Kid-friendly (but watch the temperature). Gargle. There’s nothing like a warm saltwater gargle to ease throat scratchiness or soreness. Lozenges may also help, but since we’re talking home remedies here, if you don’t have any lozenges, go for ice chips or hard candy. Not kid-friendly since young children probably can’t gargle and hard candies are a choking hazard. Ice chips and hard candies also work great for curing a sore throat. Moisturize. Yes, moisturize your face and body for general hygiene and smooth-skin purposes, but here we’re talking about moisturizing the air. 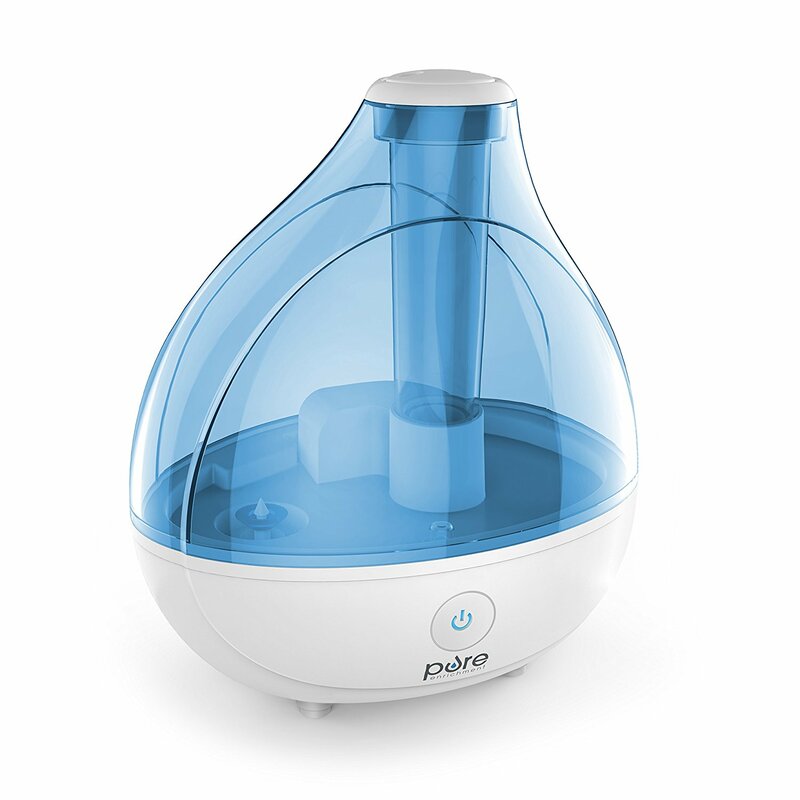 A cool mist vaporizer or humidifier helps relieve coughs and the stuffiness in your nose. I received this cool mist vaporizer as a baby shower gift and let it run in my 14-month-old son’s room every. single. night. I like this particular vaporizer because it has two different settings – low for a normal night and high if the Little Munchkin has a cold. Plus, it has a built-in night light that you can turn on or off. Super kid-friendly, as long as you use cool mist and not steam. Elevate. Moisture is even better when combined with elevation. Sleeping on an incline helps reduce post-nasal drip which makes your throat more sore and nose more stuffy. I was never a true believer in the moisture-elevation combo until I had my son. When he has a cold, I raise his crib mattress with a wedge like this one and turn his cool mist vaporizer on high. (You could also use a rolled-up blanket or towel to elevate your crib mattress in a pinch!) It helps us all sleep better. 100% kid-friendly. Sleep. Or at least rest. Sleep gives your body time to heal and empowers your immune system to fight off the cold virus. (Keep in mind, cold symptoms are caused by your fighting immune system, not by the virus itself. You want your immune system to win this battle as quickly as possibly so you can get back to normal.) Kid-friendly, although the kid may not think so. Now personally, my favorite cold home remedy is a nice hot toddy. This is one of my favorite hot toddy recipes, except I prefer to use hot green tea instead of plain water. Absolutely not kid-friendly, but definitely mother-approved. Vitamin C. Vitamin C is more likely to help you out if you take it at the very first sign of a cold, before symptoms actually start. 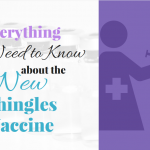 How do you know if you have a cold if you don’t have symptoms yet? Exactly… Despite the imperfect logic here, Vitamin C (if it helps at all) will not prevent a cold but may decrease the amount of time your symptoms will last. Zinc. The jury is still out on zinc as a cold remedy. Zinc lozenges or syrup may reduce the length of a cold, but zinc is not without risks. Some people may have nausea, vomiting, or diarrhea. Zinc can also cause stomach or kidney damage. Echinacea is an herb, also known as the purple coneflower. Echinacea. Echinacea could provide some benefit, but it could also be merely a placebo effect. Like Vitamin C, you’d have to start taking it at the first sign of a cold. 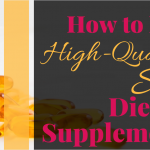 For best results, you’d probably have to take it for at least a full week. 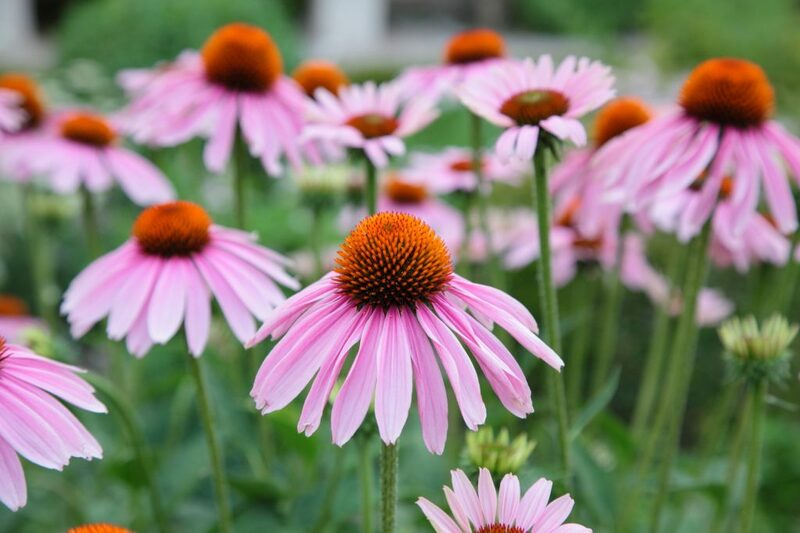 The downside of Echinacea is that it can have harmful interactions with several common drugs. 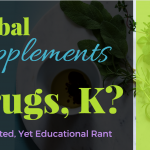 You’ll definitely want to talk to your pharmacist or physician before taking this. ANTIBIOTICS. Antibiotics are not a home remedy anyway, but I couldn’t pass up an opportunity to mention that antibiotics do not treat colds. My friends, I wish you a healthy winter! I hope you’ll join YFPHP through the winter months as I provide an ultimate breakdown of the cold & flu aisle! Remember:YFPHP does not provide medical advice. 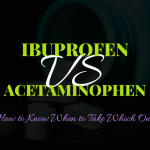 Please consult your pharmacist (your own pharmacist, not me!) or physician for personalized medical advice. 1) Great info, as always. Thanks! Yes to the hot toddy recipe! The hot toddy never fails me!